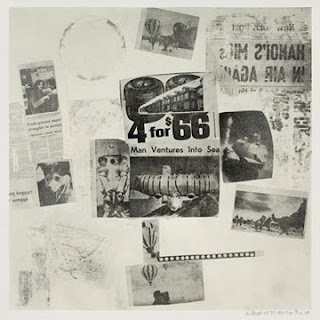 Info: In autumn 1969, artist Robert Rauschenberg met with renowned curator John Stoller at Dayton’s Gallery 12 in Minneapolis. 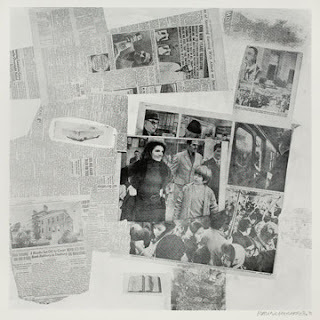 There they planned a major exhibition featuring a large scale print made from collages of New York, Los Angeles, and Minneapolis newspaper clippings. The show, Currents, opened at the Minneapolis gallery the folllowing spring. 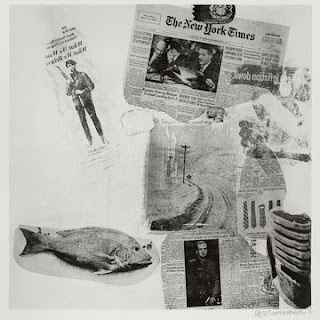 Along with the large-scale "drawing," now in the collection of the Minneapolis Institute of Arts and part of this exhbition, Rauschenberg produced portfolios of related prints, including "Features from Currents," which the Weisman owns. From government corruption and war to drugs and gay rights to astronomical events and the weather, the headlines in the prints give us a glimpse into our national past and a frame for how we might see the country's situation today. This exhibition, by one of the most important American artists of the 20th century, highlights the role the Twin Cities played in its conception and dissemination.